Japan Foundation Manila (JFM) opens EIGASAI Japanese Film Festival 2016 at Shangrila Plaza EDSA, July 7. Masato Harada’s film “KAKEKOMI” opens the festival. Harada delivers a very inspiring opening talk as well as various representatives from JFM and its partner organizations. Red Cloud Interactive through Naruto Cosplayers PH is part of the media team which covers the opening of EIGASAI Japanese Film Festival. This year’s festival coincides with the 20th Year Anniversary of the Japan Foundation Manila. Attendees to the event include both Japanese, Filipinos and Japanese pop culture enthusiasts. 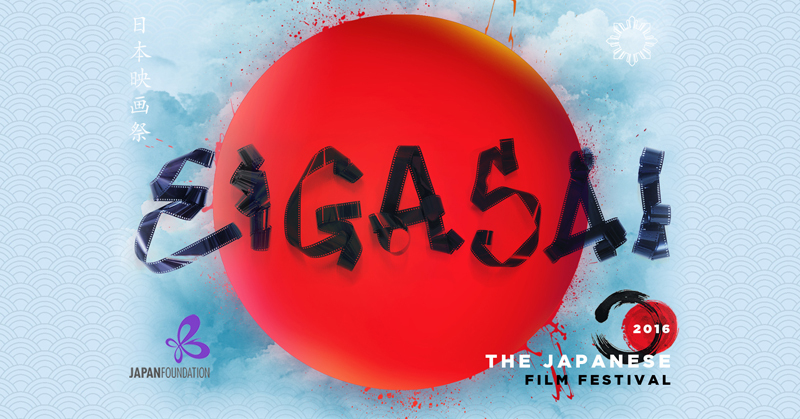 EIGASAI Japanese Film Festival is the longest foreign movie festival in the Philippines. This year it features director talks from award-winning directors Masato Harada and Hiroshi Shoji. Japan Foundation and Cinemalaya inaugurate the partnership of the two festivals this year. 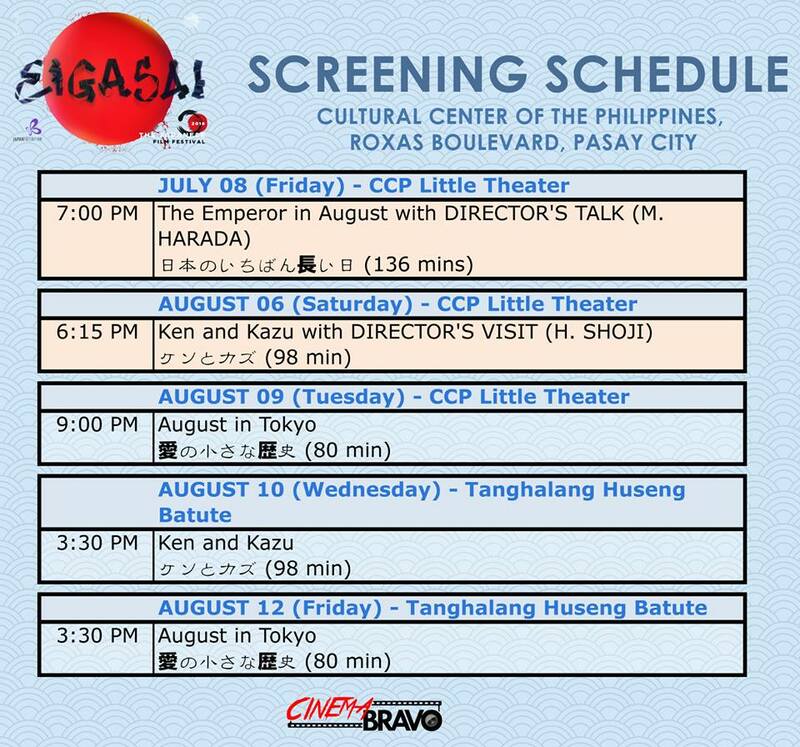 Some of EIGASAI films are part of the CInemalaya at the CCP Little Theater as well. Admission to the festival is free so we invite everyone to watch these award-winning movies. Screening at the Cinemalaya Philippine Independent Film Festival at the Cultural Center of the Philippines is also for free. 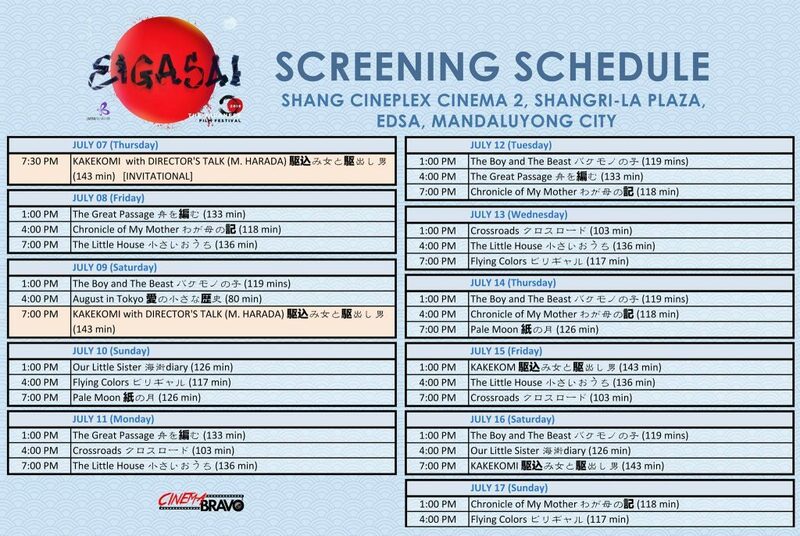 Free tickets for the festival including those at Shang Cineplex will be available 30 minutes before the screening. Since slots are on a first-come, first-serve basis, we advise you to come early. It is an honor to be part of this cultural uplifting endeavor. Red Cloud Interactive hopes to be a regular media partner of EIGASAI Japanese Film Festival. For more information about the festival please visit this Facebook page. You can also check the guide HERE. This entry was posted in Media Partnership, Press Release and tagged free, movie premier, naruto cosplayers ph. Bookmark the permalink.